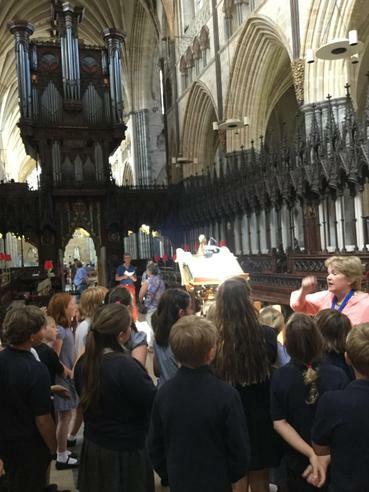 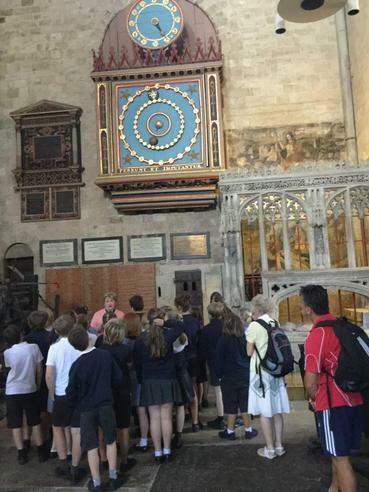 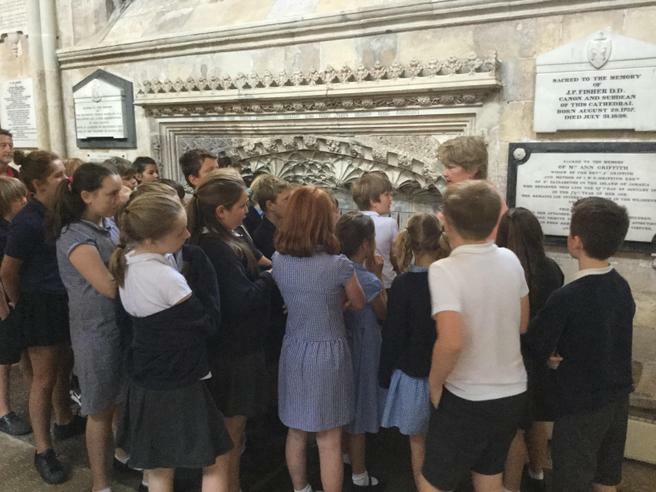 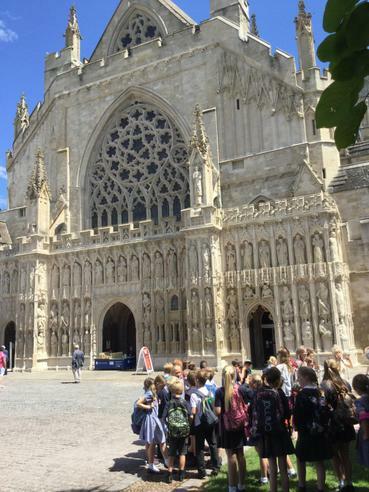 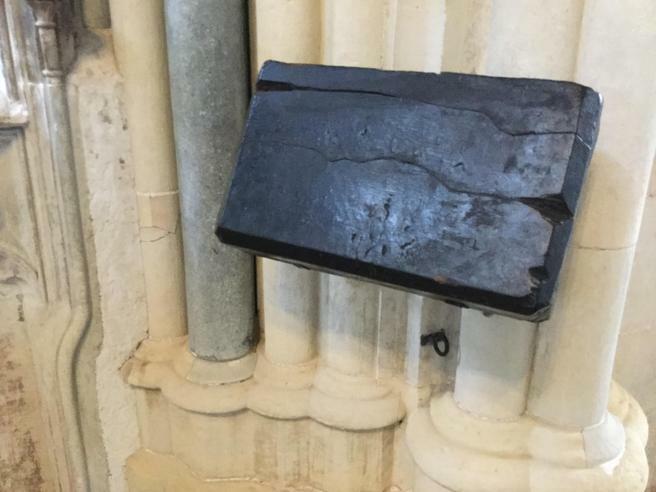 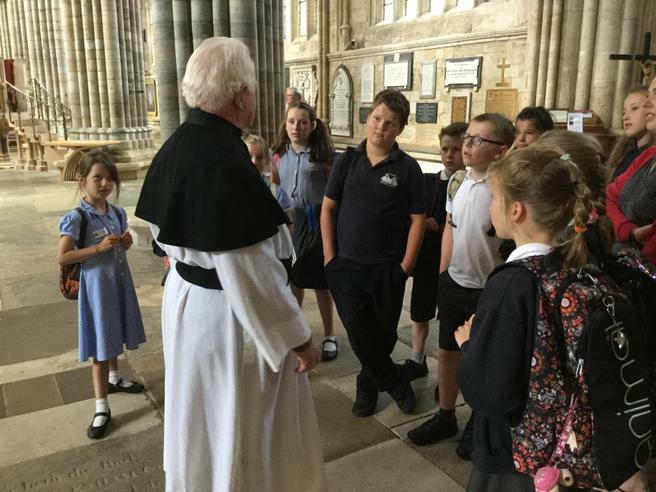 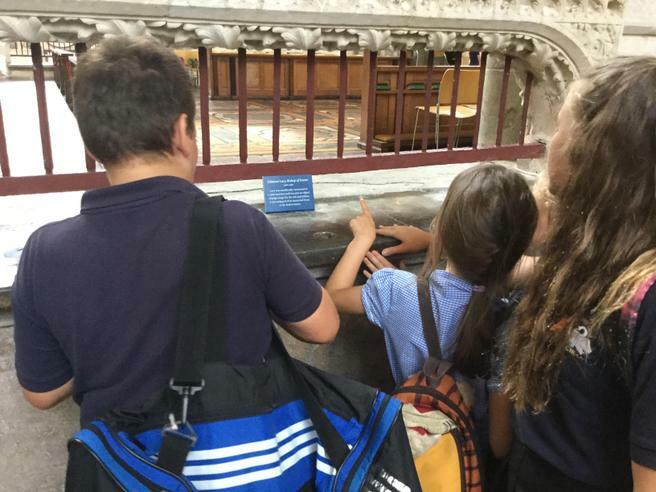 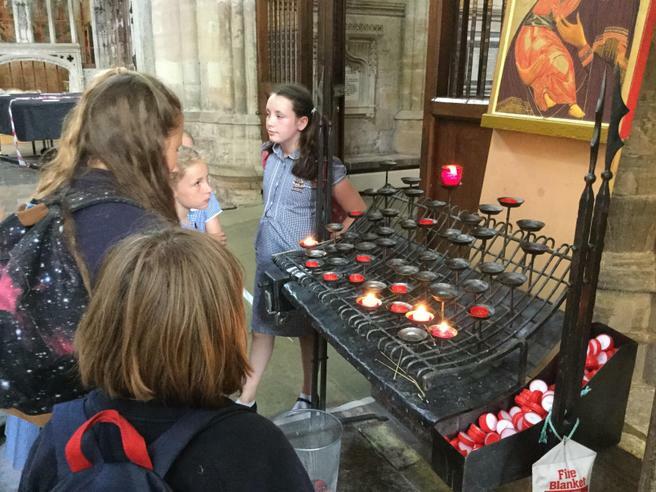 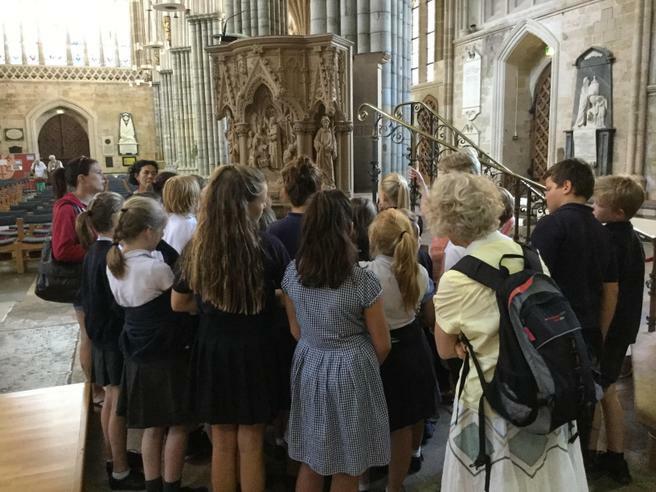 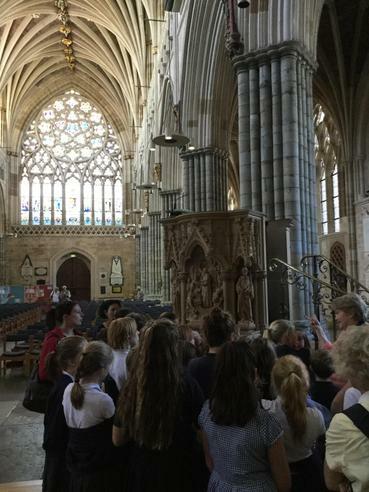 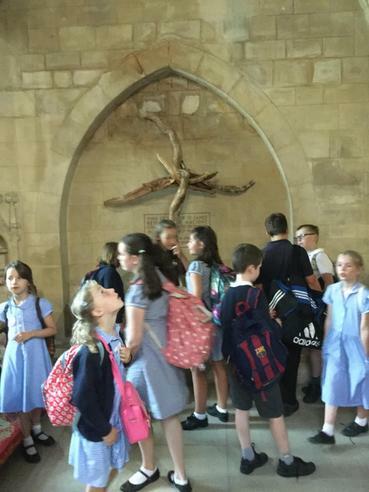 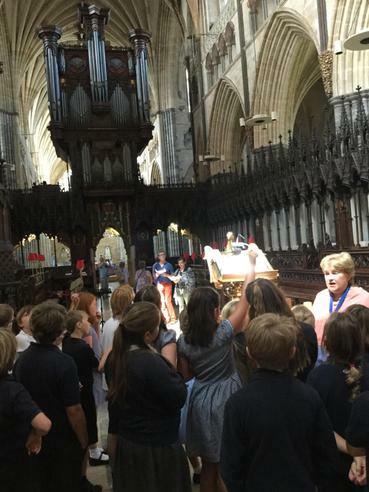 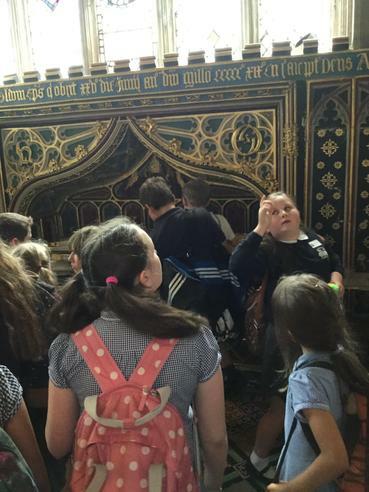 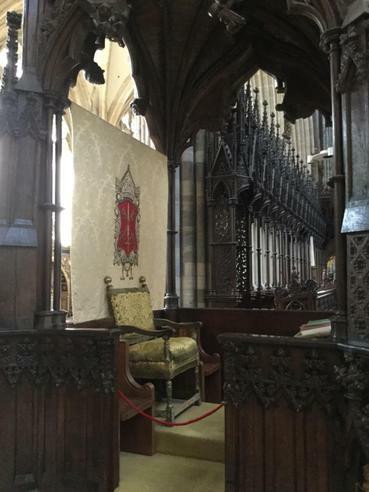 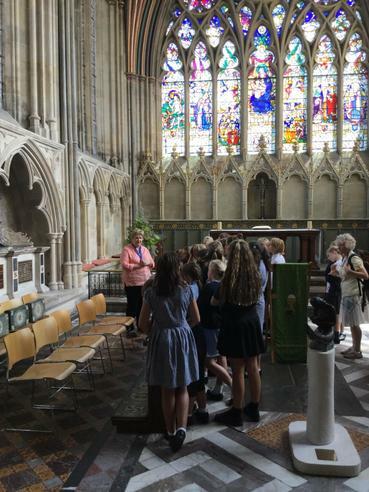 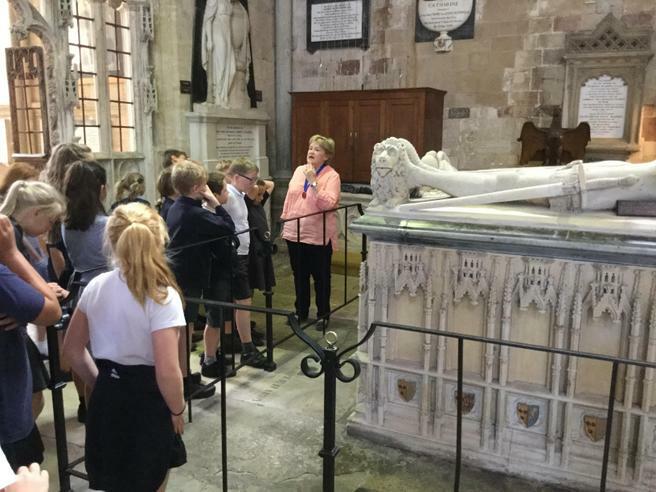 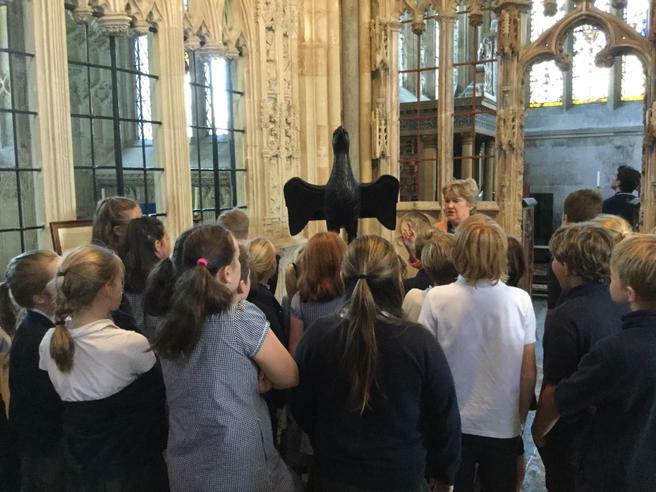 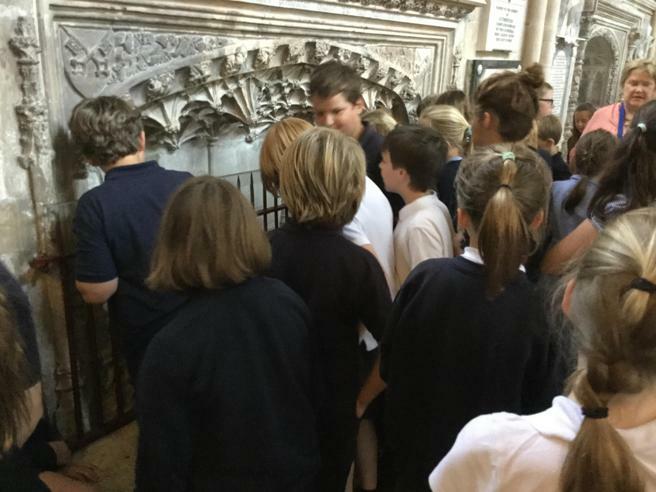 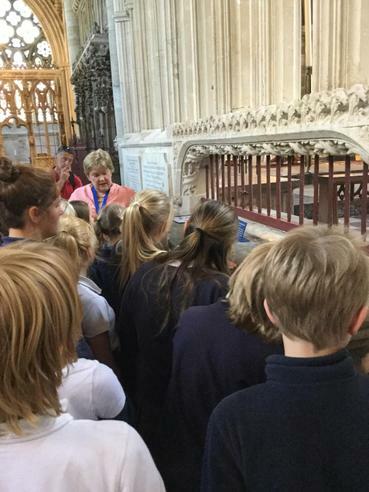 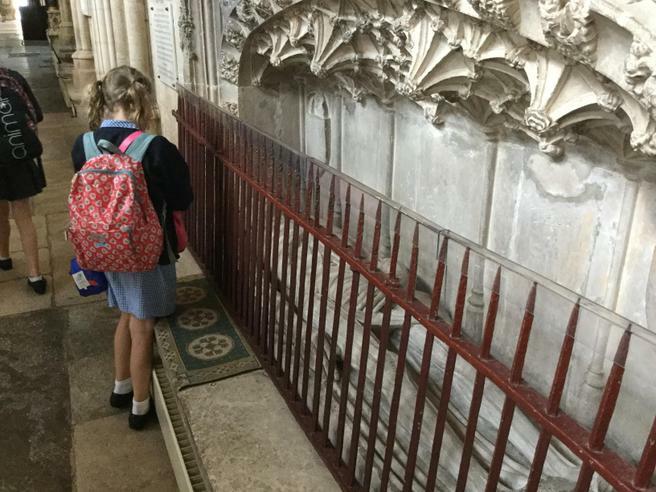 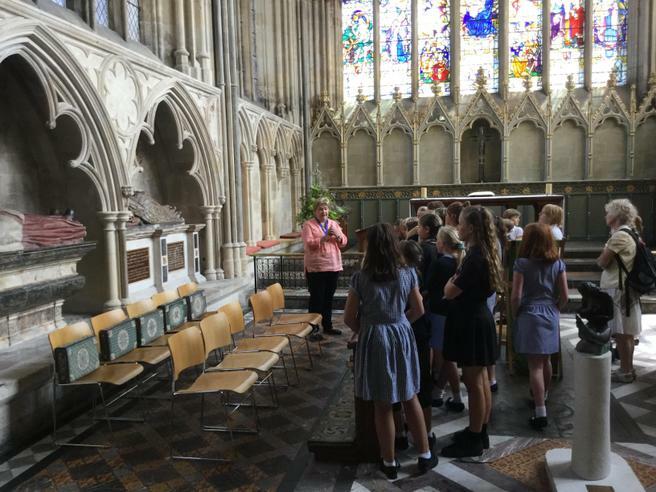 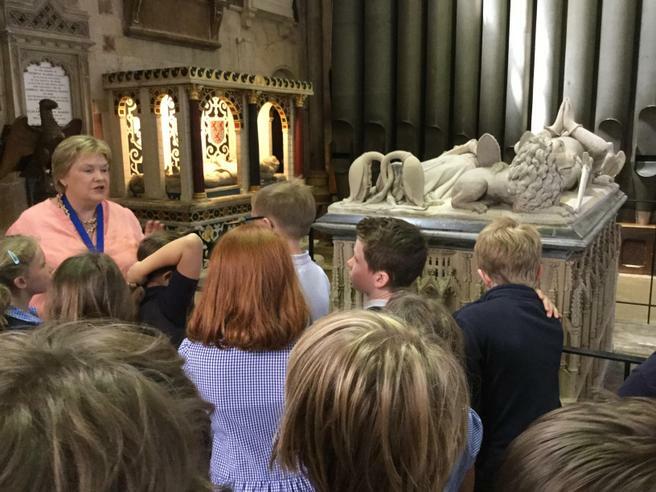 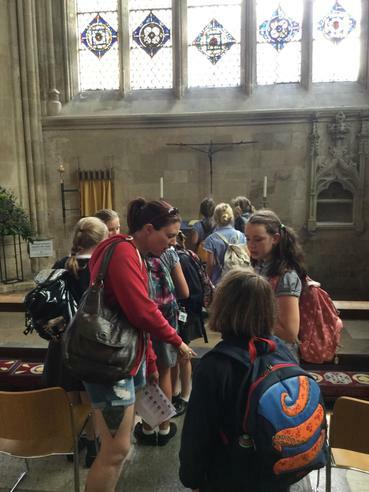 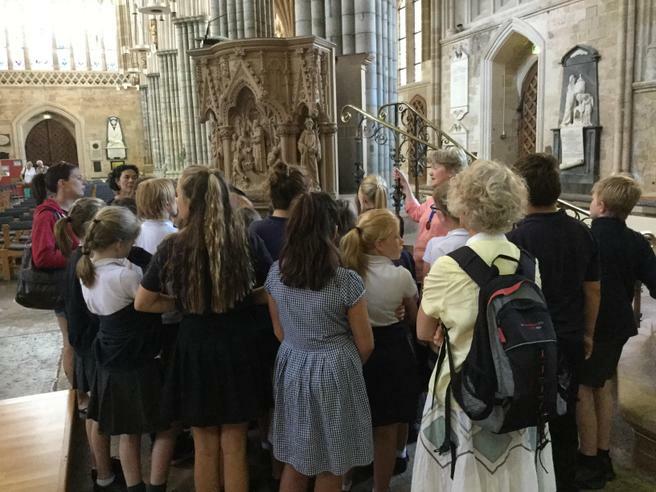 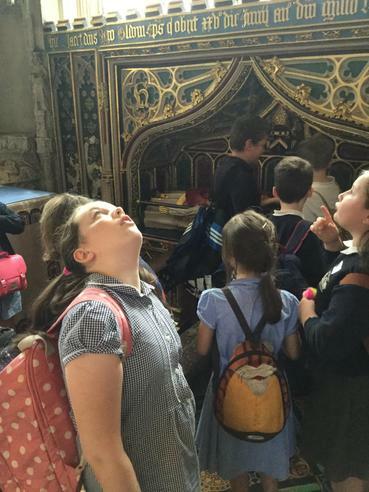 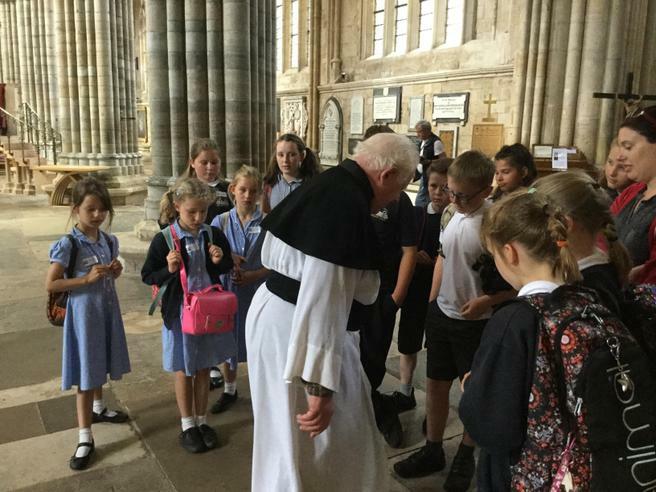 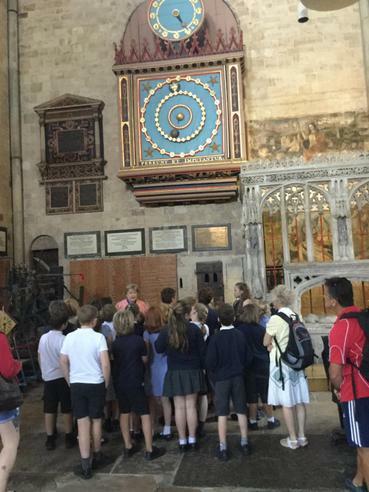 On Wednesday 5th July the children in Key Stage 2 spent the day visiting Exeter Cathedral. 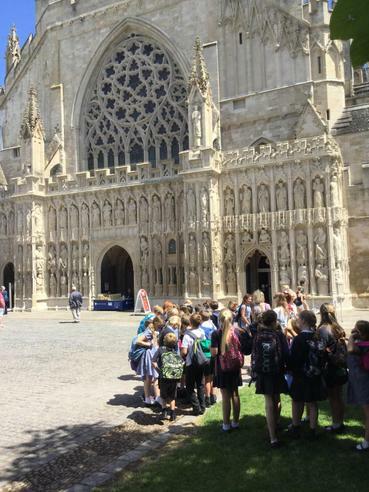 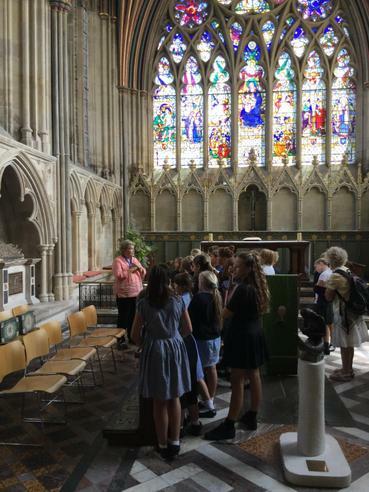 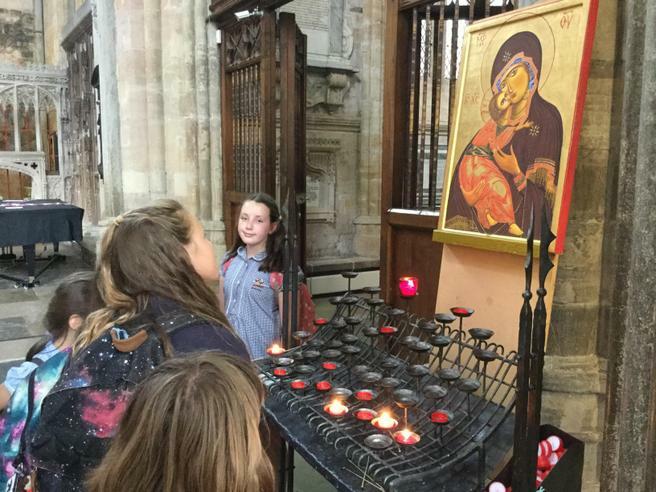 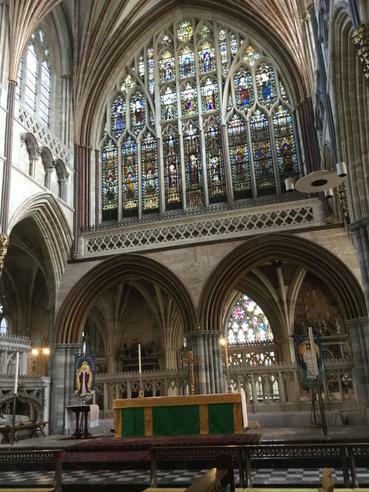 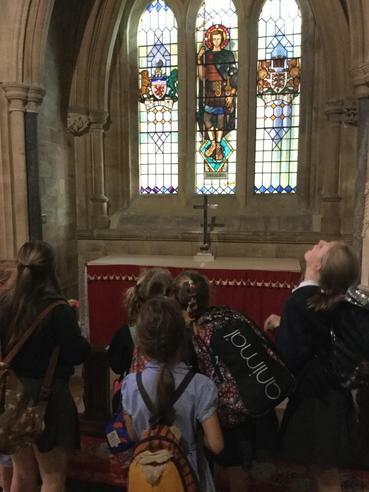 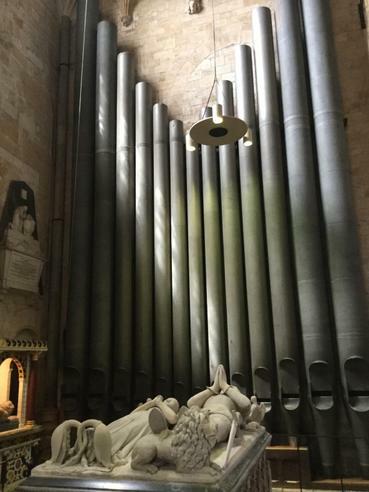 After travelling by coach to the Exeter, the children and staff were met at the Cathedral by a Guide for their tour through the beautiful building known as the Cathedral Church of Saint Peter. 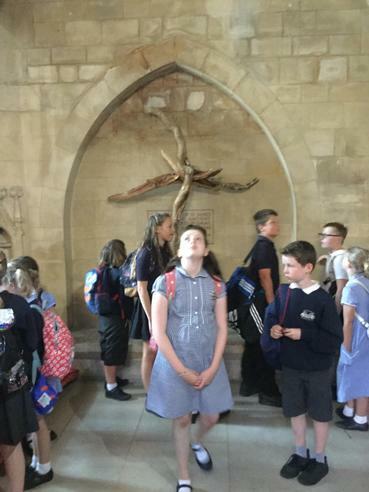 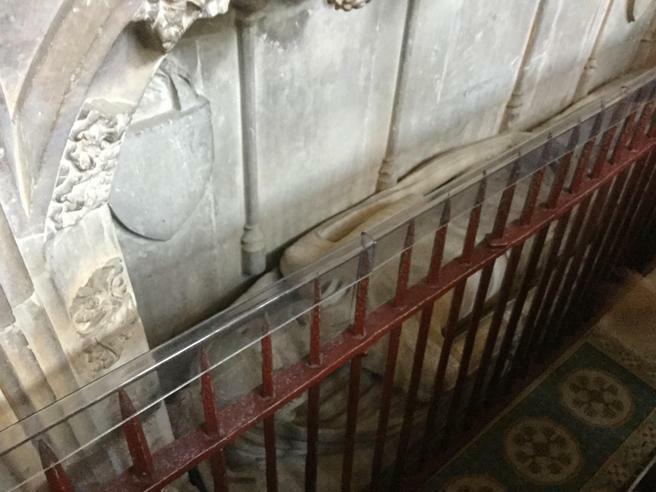 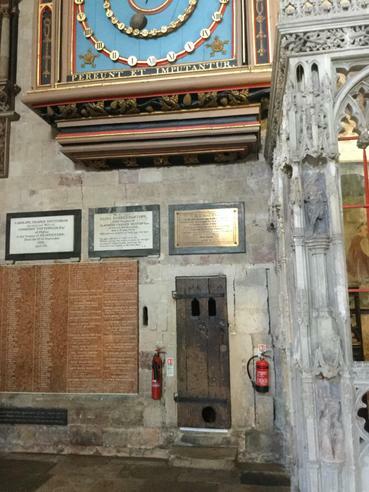 The children were delighted to learn about the symbols placed throughout the Cathderal, in particular the owl carvings in the Chantry Chapel of the Bishop Oldham and the brave Cathedral cat, Tom, who lost an eye in a fight! 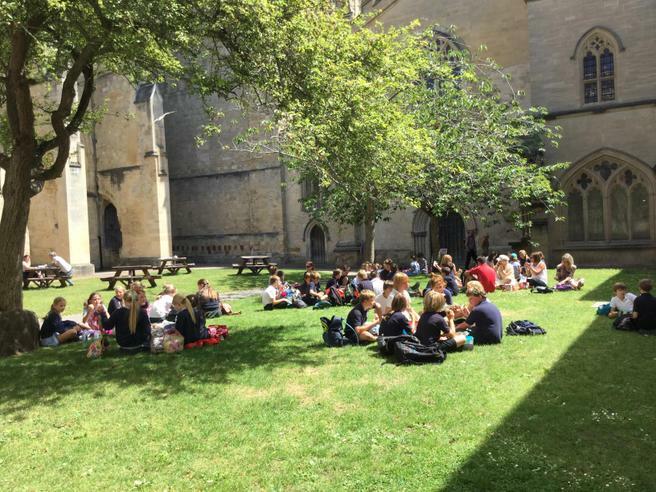 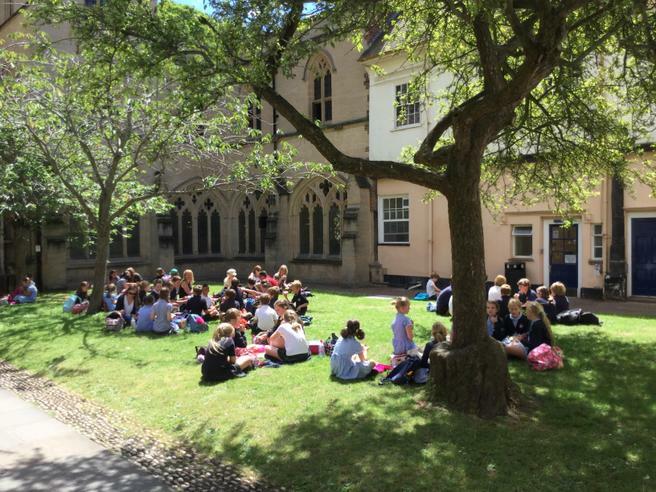 After their tour, children and staff were able to sit out in the sunshine on the green and enjoy their picnic lunches before returning back to school. 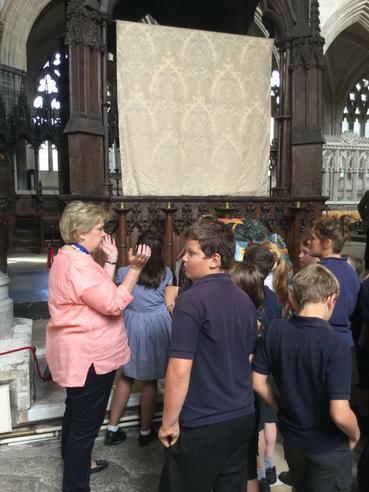 We would like to say a very big thank you to our two wonderful Guides for the patience and kindness they showed towards the children and to Mrs Dorich and Mrs Rundle Stone who joined the staff to accompany the children on this trip.